Termites are undeniably some of the most dangerous insects when it comes to the damage they can inflict on a residential building’s wooden components. These seemingly harmless vermin can very rapidly ruin your home’s wooden flooring, window and door frames as well as other timber parts. We recommend going with our annual inspection so if they do ever become an issue we’ll find them before it’s too late. As would be expected there are diverse ways of detecting termite infestation or activities in your home. However, by far one of the most effectual of these methods is opting for a thermal imaging camera inspection. This machine is very in demand not only for termite detection, but also other residential home structural faults. When it comes to the former this gadget effortlessly enables you to observe hard to see regions of your home by utilising infra-red technology. On the other hand we much prefer the Termatrac, which happens to be one of the most cost effective as well as hassle-free ways of conducting termite inspections in your home. 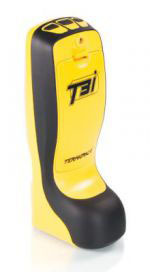 This non-intrusive termite infestation detector uses radar technology, thermal sensors together with moisture sensors to discover termite infestations. Besides all this, Termatrac comes fully fitted with data storage as well as reporting capabilities that makes it infinitely easier for users to effectually digest the information it generates. Further, utilisation of this one of a kind gadget completely does away with the need for boring, drilling, tapping or even prodding of timber, brick, masonry and plasterboards to detect these vermin. Which apart from causing substantial damage to your home’s vital components also happens to scare termites to move into other areas if they may have established nests there. What kinds of termites can infest your home? In essence there happen to be two types of these insects, which are the dry wood and subterranean termites. As most well informed individuals would readily know the first variety spend most of their lives within dry wood that they feed on. While subterranean termites ,on their part, dwell beneath the ground, but are undoubtedly the most severe wood-damaging insects in existence. This is due to the fact that their presence is usually hard to notice, and the damage they inflict is discovered before they are actually detected. 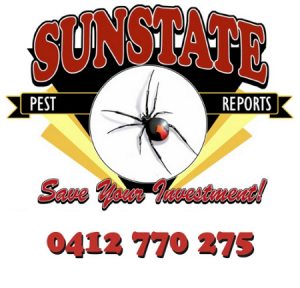 To effectually deal with these pests it is highly recommended for home owners to get annual termite inspections for their home. This can go a long way in permitting them to detect termite infestation and its exact extent as well as determining the ideal treatment options they can use to eradicate these vermin. Such assessments can also be preventive in nature as they enable home-owners to fully ascertain if the prevailing conditions of their homes are conducive to termite infestation. Ideally, the major signs of a termite attack happen to be shed wings on window sills and shelter tubes that are essentially tunnels these creatures construct using soil, wood and other debris. Wood damage especially where such components meet the soil (subterranean termites) or ejected pellets and galleries within wood (drywood termites) can also be excellent indications. 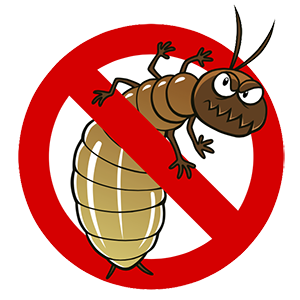 Comprehensive termite inspections ought to cover both the exterior as well as interior parts of a house. When it comes to the former, home owners should be on the lookout for shelter tubes formed on the foundations, garage and other surrounding structures in a residential property. It is also highly advisable to check out window and door frames for the above stated signs of termite infestation as well as plants and shrubberies located close to the home. Not forgetting areas where wood meets the soil such as fences, stair carriages and even trellises. When it comes to indoor termite inspections homeowners should check out window and door facings, hardwood flooring and baseboards for damage. As well as discolouration which usually indicates water leakage that leads to wood decay which facilitates for a conducive environment for termite infestation. You should also examine where plumbing fixtures and utility pipes run beneath wooden floors. It is thus evident that while conducting termite inspections may necessitate some allocation of time and even resources into effectually carrying it out. The end results are still worth their weight in gold as they safeguard your home from rapid depreciation attributed to these pests. Again, like previously stated, it is highly recommended to conduct such examinations at least once in a year to make sure that your home is always protected regardless of the prevailing conditions.